Backed by a modern infrastructural base, expertise of our in-house engineers, and rich experience, we have established our presence as the most reliable manufacturer and supplier of an enhanced quality Tin Can Components. The offered components are manufactured and designed with the help of supreme quality tinplate sheet and contemporary tools in compliance with set industry norms. These components are used in automotive industries, bottle caps, screw caps and other industries. 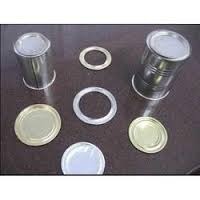 Our organization holds immense expertise in manufacturing and supplying an unparalleled range of Tin Containers. These products are manufactured using premium quality raw material and components that are procured from the certified vendors of the market. Besides, we make sure that these products are in strict compliance with international standards of quality. 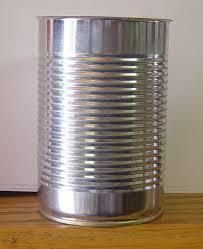 Utilizing the most modern technology and latest machinery, we bring forth the wide array of Tin Can Components. The offered components are manufactured with the help of premium quality material and ultra-modern tools in compliance with set industry standards. These components are widely used in automobile industries for different purposes. Clients can avail these components from us at market leading prices.